From the start, The Last King, with it’s beautifully filmed gorgeous natural landscapes has an air of epic historical drama and the images parallel the storyline. The history of the king of Norway in the 1200’s is a tale, which I was totally unaware of, but the drama seems fitting for today’s audiences with similarities to films like Braveheart and shows like Game of Thrones (the latter being even more underscored by the inclusion of Norwegian lead actor Kristofer Hivju who Game of Thrones fans might know as the wildling leader Tormund Giantsbane). 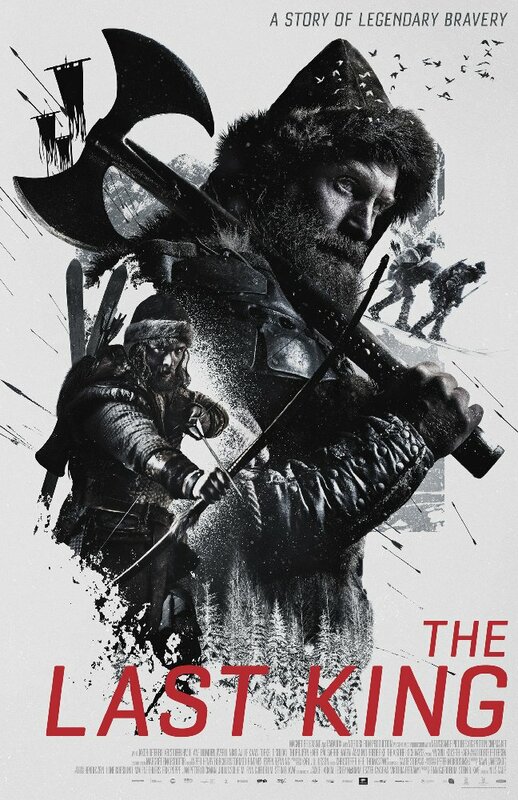 The film tells the story of the death of the King of Norway and the struggle to keep his illegitimate infant son, Håkon Håkonsson, alive as the Bagler faction try to kill him off and end the dynasty. Two Birkebeins, members of the party that support the throne played by Hivju and Jakob Oftebro, travel through the snow storms and enemies trying to keep the baby alive. There are some serious battles, all of which take place on horses and skis in the snow, which is also something I’ve never seen before and while the story comes to an end in a way that’s a bit expected, the visuals and exotic nature of the film make up for some of it’s weaknesses.